President Abdel-Fattah El-Sisi arrived to Russia on Tuesday for a three day visit to discuss a number of economic projects as well as strategic issues with Russian President Vladimir Putin. Earlier this week, Minister of Trade and Industry Mounir Fakhry said that the most important issue on the agenda is the establishment of a Russian industrial zone in Egypt, either in Ataqa near Suez or in northern Fayoum. He added that the small amount of Russian investment in Egypt means that it is ranked only 43rd among foreign nations investing in the country. In May, Fakhry announced the creation of a new Russian, Egyptian and United Arab Emirates investment fund, with the participation of Egyptian banks and the Abu Dhabi Investment Fund. Full details of the fund have yet to be released. Russian Prime Minister Dmitry Medvedev told Egyptian press earlier this month that creating a Russian industrial zone in the Suez Canal area is another project under discussion. “Among its potential residents are automakers, manufacturers of building materials, river and sea transport companies, and energy equipment and pharmaceutical producers,” he added. Also under discussion is a free trade agreement between Egypt and the Eurasian Economic Union which includes Russia, and former soviet nations Belarus, Kazakhstan, Kyrgyzstan, and Armenia. Russia is Egypt’s 13th largest trade partner according to the latest official figures, with Egyptian imports from Russia totalling $1.2 billion in the first nine months of the last fiscal year, while Egyptian exports to Russia amounted to $132.6 million. Russia is one of Egypt’s main suppliers of imported wheat, on which Egypt is heavily dependent, along with France and Romania. “We plan to significantly increase the export of Russian grain to Egypt, to 6.5-7 million tons a year,” Medvedev said this month, adding that Russia would also be involved in expanding Egypt’s grain storage capacity and processing infrastructure. Last month, Egypt signed two preliminary deals with top Russian oil producer Rosneft to import petroleum products and liquefied natural gas, as well as liquefied petroleum gas, Reuters reported. Egypt is also in discussions over establishing a joint venture in cooperation with Rosneft, according to Abdel Nour. Egypt’s exports to Russia, which rose 73 percent in the first nine months of the fiscal year 2014/15 compared to the same period of the previous year, include fresh produce such as citrus and potatoes. Egypt’s trade deficit deepened to reach LE25.4 billion last May ($3.2 billion), according to the latest official figures. This week’s visit marks the third time El-Sisi has visited Russia since the start of his presidency in June 2014, amid increasingly close military and strategic ties between the two countries. An anonymous source said that the main purpose of the visit was to finalise the agreement on establishing of Egypt’s first nuclear power plant at Dabaa on the north coast, with Russian concessional loans. 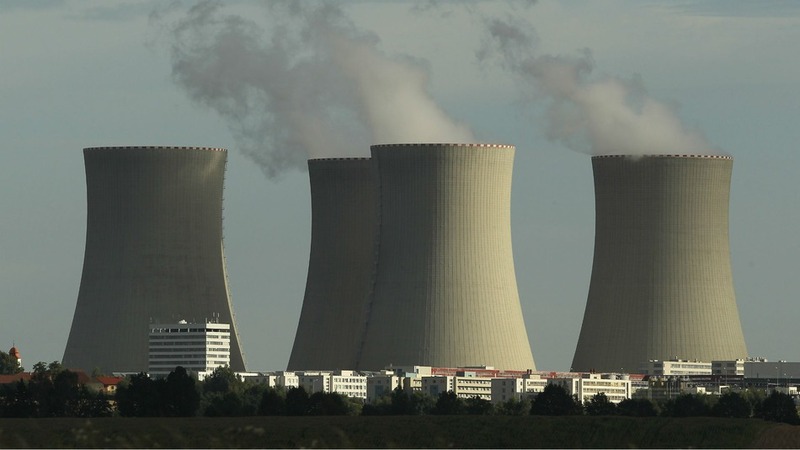 “Technical specifications and the number of nuclear power units, as well as the key commercial terms, have been agreed upon,” said the Russian prime minister earlier this month. “They will be included in a new intergovernmental agreement, which is almost ready for signing. Russia can supply the latest power units to Egypt, which are equipped with the safety systems that were developed following the Fukushima-1 accident,” he added. Egypt and Russia signed a preliminary agreement in February for Russia to assist in finishing a long-postponed plan for the nuclear power plant. The Arab world’s most populous country Egypt needs to keep upping its current output of around 30 gigawatts by six gigawatts each year for the next seven years to keep up with growing demand, Minister of Electricity Mohamed Shaker told investors at an international conference held in Sharm El-Sheikh in March.